where I share with you my favorite garage sale finds. This week, everything I bought ended up at Persnickety's in Sumner, WA to be sold. They are all things I love, but I just can't get my husband on board to let me go totally vintage in a room. Up first I found this awesome set of matching suitcases. 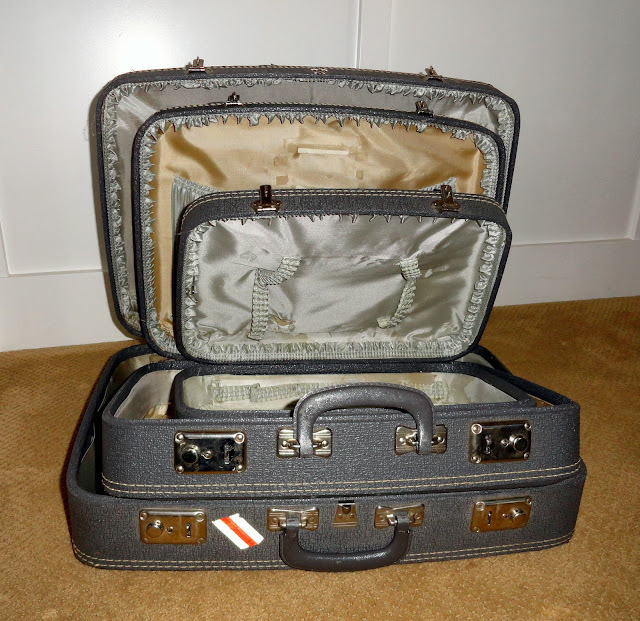 I was so excited when I opened them and found not one, not two but three suitcases all nesting inside. They were all in great shape and I got them for $5! I was dropping some other stuff off at Persnickety's and I saw them walking out the door with a happy customer! 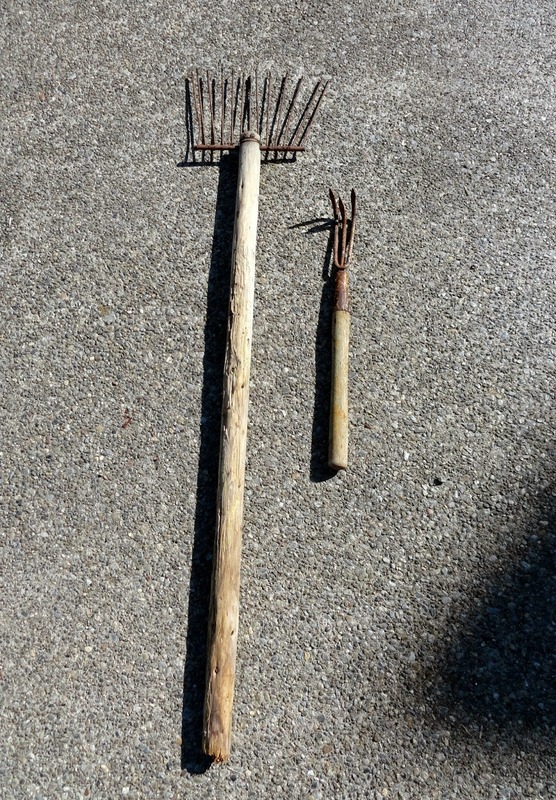 I found some really cool rustic antique tools at another garage sale for $1 each. I think the big rake would be cool with pictures on it, and the smaller rake could be turned upside down and used as a picture hanger. 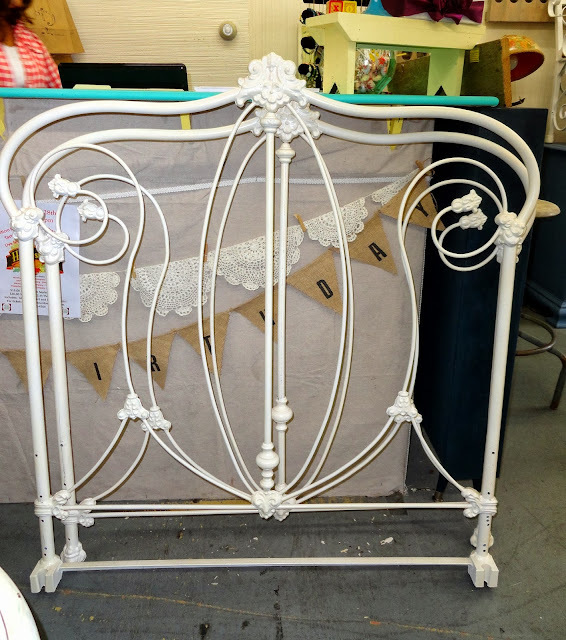 This wrought iron bed is to die for! but alas, my daughter is a hoarder, and she could not part with the three storage drawers underneath her current bed. I paid $25 for it. 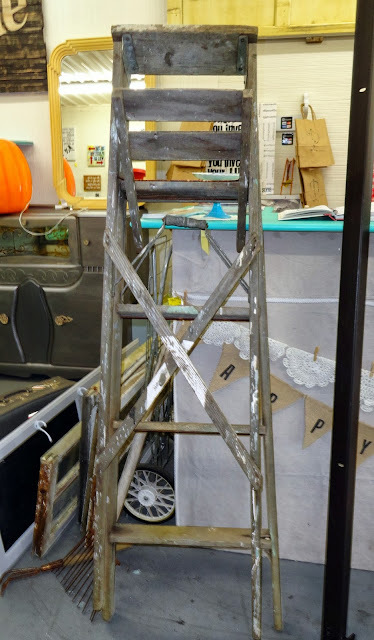 I wouldn't trust this ladder to hold my weight, but it would be really cool leaning up against a wall holding a vintage quilt collection, or hanging from a ceiling. It was $5 and I thought I had a major score! The garage sales are slowing down, so our weekly fun is going to start tapering off. I know I am already dying for May when the sales start again! Are garage sales still happening in your neck of the woods? What did you find? I LOVE those suitcases! What a fantastic find! I love that bed! I am so sad that the garage sales are becoming few and far between as the season wraps up.